Widely acknowledged as one of Canada’s premiere singer-songwriters, Ron Hynes was born in St. John’s and raised in Ferryland. His first musical influences were the songs of Hank Williams, Johnny Cash, Roy Orbison, Del Shannon, The Beach Boys, The Beatles, and Bob Dylan. With a songwriting career that spans more than 30 years, Ron is a five-time East Coast Music Award winner and past JUNO and CCMA nominee. He was named Artist Of The Year (’92) and presented with the prestigious Arts Achievement Award (’04) by the Newfoundland/Labrador Arts Council. He also holds an Honorary Doctorate from Memorial University for his songwriting and contribution to the cultural life of his beloved home province. Ron began his career as a singer/songwriter in the early seventies, playing the coffeehouse circuit through Atlantic Canada and Ontario. While on a theatre tour with the Mummers Troupe in ’76 he composed a song called Sonny’s Dream, now a folk classic. His songs have been covered by Valdy, Emmylou Harris, Murray McLauchlan, Christy Moore, Mary Black, Denny Doherty, Terry Kelly, Prairie Oyster, The Irish Descendants, Susan Aglukark, The Good Brothers, The Ennis Sisters, John McDermott, Shaye, The Cottars and many more. Ron was a founding member of the WONDERFUL GRAND BAND, a musical comedy show featuring a six-piece traditional/folk/rock band together with various members of CODCO. WGB toured the country non-stop for six years, producing two albums, forty-one TV shows plus specials for CBC. Ron’s moonlight career as an actor resulted in two principal theatre roles, as Newfoundland songwriter Johnny Burke in The Bard Of Prescott Street, and as country legend Hank Williams in Hank Williams: The Show He Never Gave. Ron also starred in the Newfoundland Independent film release, A Secret Nation, for which his original song, The Final Breath, won a Genie Award for best song. He played the irrepressible Johnny Shea in the CBC/Rinkrat TV series, Dooley Gardens, and was the subject for the documentary Ron Hynes: The Irish Tour. 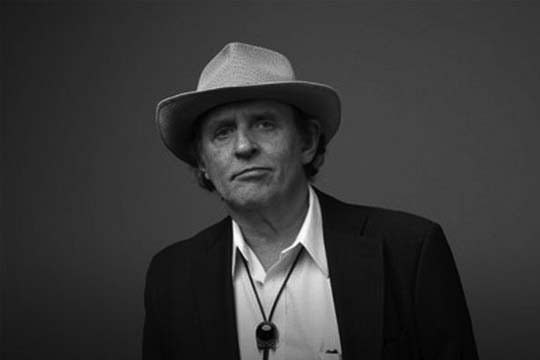 Ron Hynes recorded two original solo albums for EMI Music Canada, Cryer’s Paradise (’93) and Face To The Gale (’97). The independently produced 11:11 Nfld. Women Sing is an award winning collection of songs co-written by Ron and Connie Hynes and sung by Newfoundland’s best female artists. Ron’s 1998 independent release, Standing In Line In The Rain, was awarded Best New Album from MusicNL. He followed this up with a 2001 independent disc, The Sandcastle Sessions, which led to his signing with Canada’s folk music label, Borealis Records. In 2003 Ron released Get Back Change (Borealis/Koch), garnering MusicNL awards for Male Artist, Country Album and SOCAN Song of The Year (Get Back Change), as well as the 2004 East Coast Music Award for Country Recording and Album Of The Year. Ron Hynes launched his long-awaited first songbook, Songs Of Ron Hynes-Volume 1(Vinland Music), in 2005. Ron Hynes, a self-titled CD released in early 2006 is a stirring collection of fourteen soul-baring, personal songs, and touted as his most brilliant work to date. The St. John’s Folk Arts Council is delighted to recognise Ron Hynes for his continuing contribution to the musical traditions of Newfoundland & Labrador by presenting him with the 2006 Lifetime Achievement Award. Long regarded as one of the province’s and the country’s finest singer-songwriters, Hynes has, more than any other contemporary Newfoundland songwriter, articulated the heart and soul of the province. As well, the mentoring and friendship that Hynes extends to emerging songwriters is invaluable. His encouragement to the next generation has helped insure the future of creative expression within the vibrant musical community of Newfoundland & Labrador and the rest of Canada.